Xi'an. Huaqing Hot Springs. Tours to China. Travel to China. China. Legend tour. 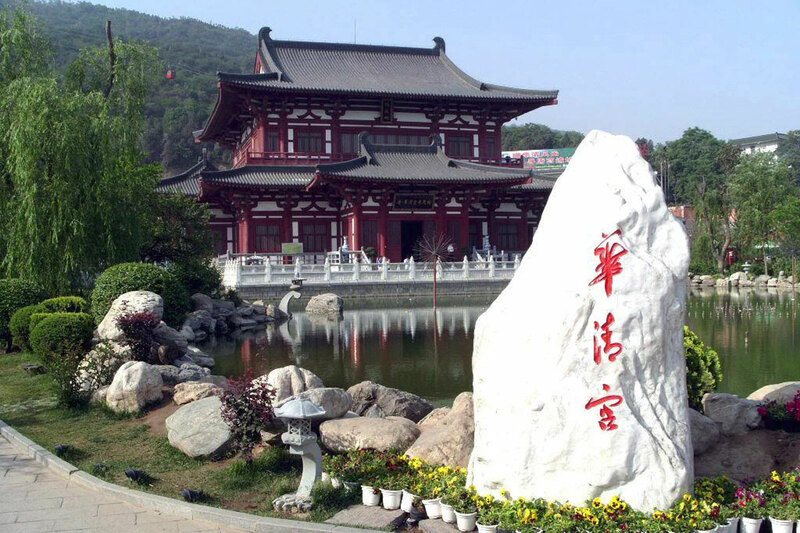 The Huaqing Hot Springs is located about 35 kilometers east of the city of Xi'an. Historically, during the Western Zhou Dynasty the construction of the Li Palace was undertaken on this spot. 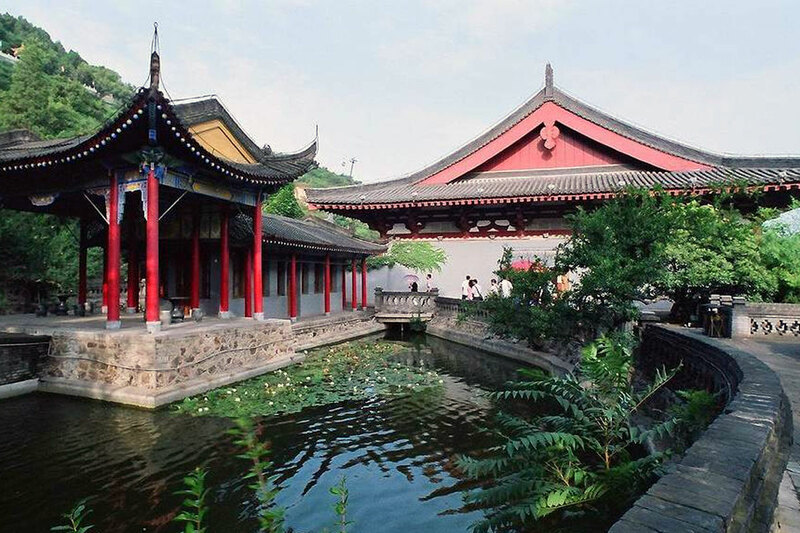 In the Qin Dynasty, a stone pool was built and was given the name Lishan Hot Springs. The site was enlarged into a bigger palace during the Han Dynasty, and was renamed, the Li Palace. 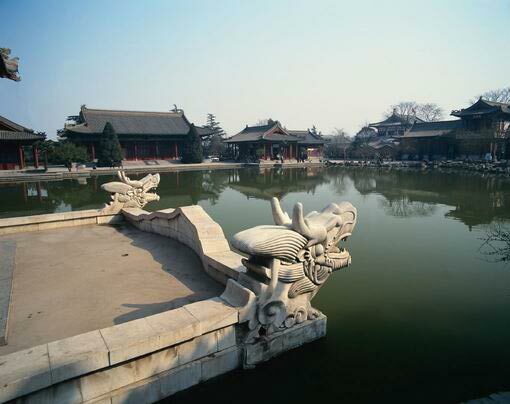 During the Tang Dynasty, Emperor Taizong ordered the construction of the Hot Springs Palace. Emperor Xuanzong had a walled palace built around the Lishan Mountain in the year 747. It was known as the Huaqing Palace. It also had the name Huaqing Hot Springs because of its location over the hot springs. Huaqing Hot Springs is located at he foot of the Lishan Mountain, a branch of the Qinling Range. Standing 1,256 meters high, it is covered with pines and cypress and looks very much like a dark green galloping horse from a long distance away. In ancient times, a black horse was called "Li", and this is how it got its name, Lishan. In the Tang Dynasty, the Huaqing Hot Springs was destroyed, during the An Lushan Rebellion. The present-day site is only a small part of the Tang Huaqing Palace. 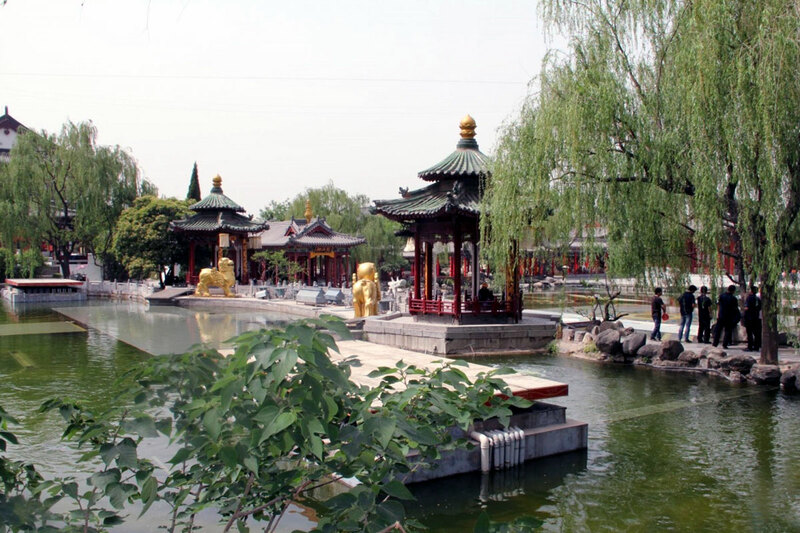 The Huaqing Hot Springs which we see today was rebuilt on the site of the Qing Dynasty structure. The palace covers an area of 85,560 square meters. Entering the West Gate of Huaqing Hot Springs, you will see the Nine-Dragon Pool, the Lotus Flower Pool and the Frost Drifting Hall, etc. All these structures were rebuilt in 1959 according to Tang architectural style . Photo. Huaqing Hot Springs is a scenic spot with charming and graceful scenes and natural hotspring.